Conwy County Borough Council is working with the Centre of Sign Sight Sound and the HistoryPoints website to create British Sign Language (BSL) heritage interpretation videos at the new Conwy Culture Centre and throughout Conwy town. The Trilingual Culture Centre project will give equal prominence to BSL alongside Welsh and English interpretation at the new Culture Centre, in keeping with the Centre’s aims to promote universal access to heritage. The Culture Centre, currently under construction on the corner of Town Ditch Road and Bangor Road in Conwy town, will feature a library, archive, heritage and arts hub and café. Due to open in autumn 2019, the Centre will tell the story of Conwy County and signpost visitors to the rich culture and heritage of the region. The Trilingual Culture Centre project has secured £7,892 of LEADER funding, the Rural Development Programme for Conwy, to trial using QR codes to take visitors to the HistoryPoints website on their tablet or smartphone, where they can access BSL Videos. QR code plaques will be on display at key locations at the Culture Centre, and also at historic sites in the town, including Plas Mawr and Britain’s Smallest House. The project will also include accessible signage and lighting for the exhibition cases. Signs will also be Dementia-Friendly, in keeping with the Culture Centre’s aim to work towards Dementia Friendly status. The Centre for Sign Sight Sound in Colwyn Bay is a registered charity which exists to improve the quality of life and equality of access for Deaf people and people with a sensory loss. The HistoryPoints website, which was established in 2012, operates as a not-for-profit community website intended to provide on-the-spot information at historic sites using mobile technology. So far the website has covered a total of 570 sites across Conwy, Denbighshire and Flintshire. 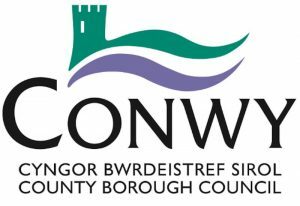 The long-term hope for the project is to use the learning from the pilot phase to roll out BSL HistoryPoints across the whole of Conwy County and beyond. The Trilingual Culture Centre project is supported by LEADER, part of Welsh Government Rural Communities – Rural Development Programme 2014-2020, which is funded by the European Agricultural Fund for Rural Development and Welsh Government.